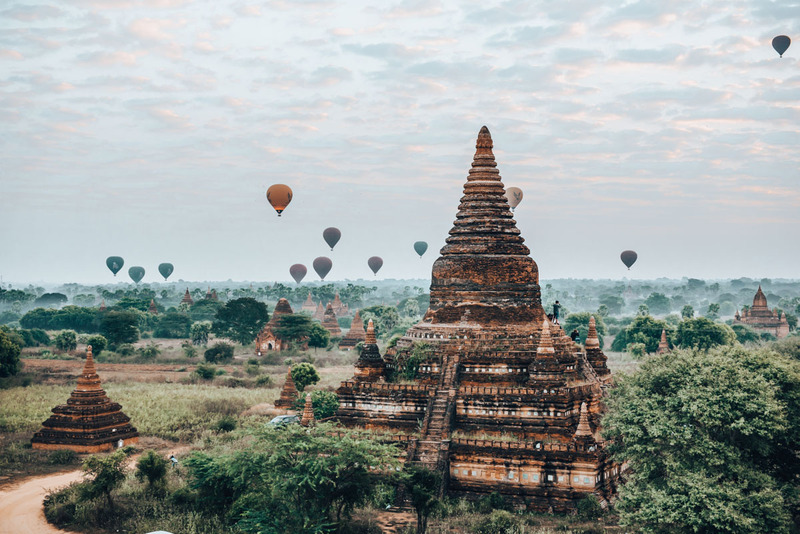 Bagan is probably one of the most visited places in Myanmar and in our opinion, not one that should be missed if you’re travelling through this country. This landscape, boasting over 2,000 pagodas with staircases towering into the sky, definitely makes the list of our top travel experiences so far, with the most magical views at sunrise and sunsets. In our eyes, these temples of Bagan are their own unique work of art. A single Pagoda itself cannot be singled out, so our best tip for you is: don’t just tick off and visit one well-known pagoda, but rather let the collective display of art embedded within various pagodas, over several days, leave their own stimulating impression on you. PS: At the very end of the article you will find, not only a few important tips for ascending the temples, but also a map where we have pinned all the pagodas we mentioned in this article. Of course during the day, Pagoda hopping goes without saying and you can find in section 3 of this article, a selection of pagodas which we would recommend visiting during the day. The real challenge is in fact finding the right location and pagoda for sunrise. 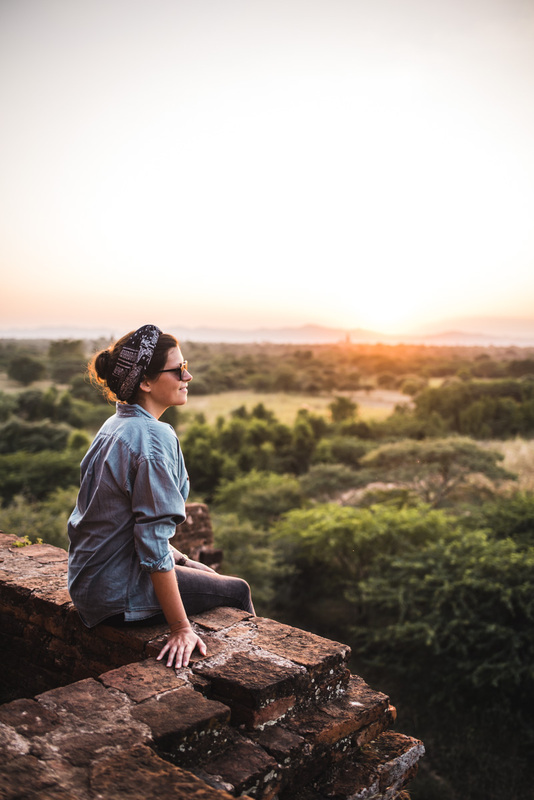 Everyone wants to find that spot – the deserted pagoda with a fantastic sunrise view. Believe us when we say it’s a lot harder than you think – but not impossible. 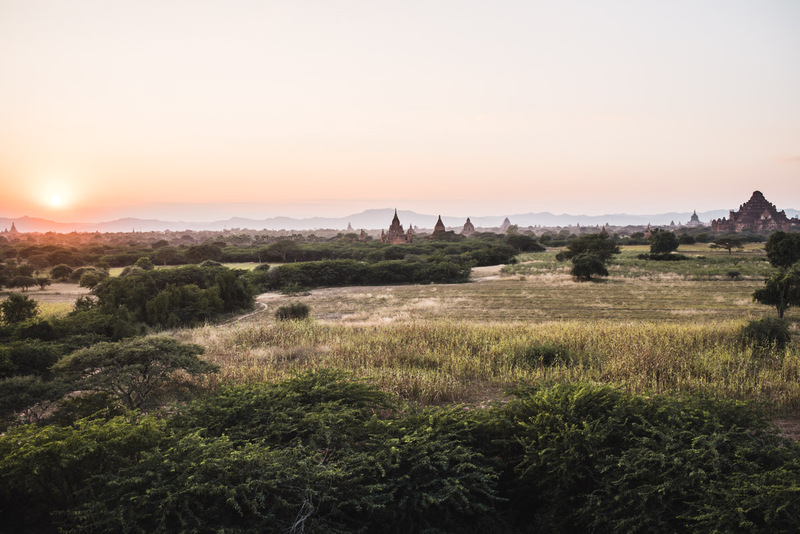 Below are some spoilers of which pagodas in Bagan we went to and photographed for sunrise. During our visit, the popular sunrise pagoda “Shwesandaw” was recently closed off to visitors, so we, along with the majority moved to the nearby Bulethi Pagoda. 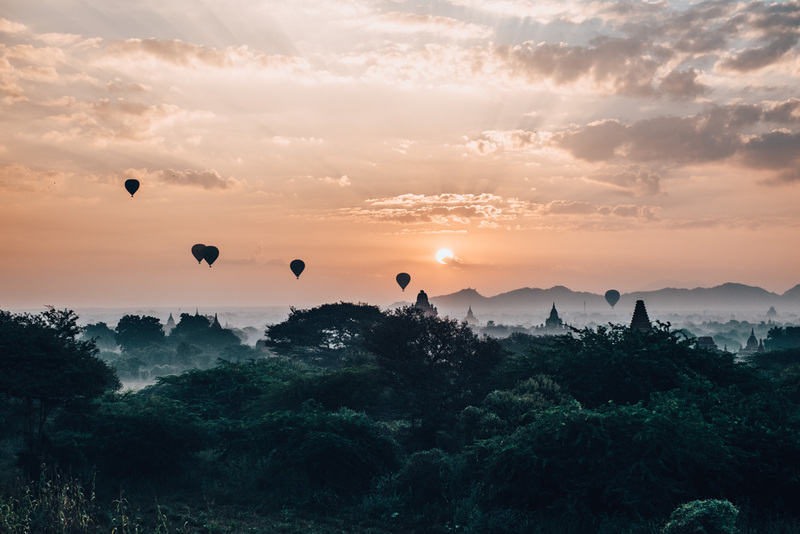 The view from Bulethi Pagoda is really stunning and from a distance, you can even spot the hot air balloons floating in the air. 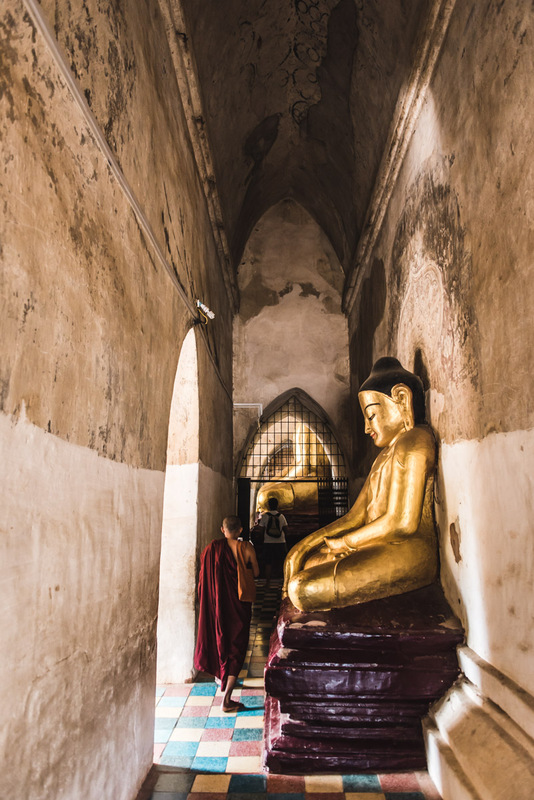 The ascension of Bagan’s temples have been, in recent times, made largely prohibited (as of December 2017 – more info in Chapter 7 of this article). However, the Bulethi pagoda can indeed be officially climbed, so it’s not surprising that a lot of people gather here at sunrise. There was a total of about 100 people during our visit, who flocked together, including us, on the pagoda for sunrise. It sounds like a lot but luckily people were rather well spaced out and even those who arrived later could still find a nice spot. For this sunrise, we used the free shuttle from our hotel so we were there just after 5am and had to wait almost an hour in the cold for the sunrise itself. However, during that time of year, it would’ve also been absolutely fine to have come a little later. The next day we went by scooter on our own little expedition to look for a sunrise pagoda. Problem is, when it’s dark and you’re unfamiliar with the local area, you have no idea where to look. Therefore, we had mapped out a rough circumference to help in our search for a sunrise pagoda. Equally, if not more impressive, are the sunsets in Bagan, which are an absolute highlight of each day. We didn’t miss a single sunset and can highly recommend the following places. Finding a pagoda for sunset easier than sunrise, as it is brighter and you can see what you’re looking for. We discovered this rather small and inconspicuous pagoda quite by chance. 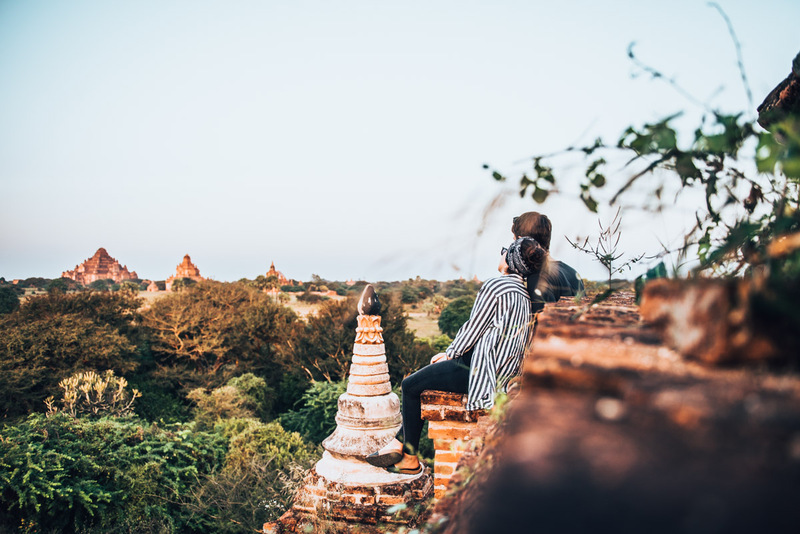 Aware of the fact that you can attain a fantastic view from the famous Shwesandaw Pagoda, we wanted to find one with a similar view but lesser known and not so crowded. In the end, we didn’t end up straying too far before finding this place. The climb to the upper platform of this nameless pagoda is a little tricky, as the walkway inside the pagoda is really narrow. Despite the relatively low height of the pagoda, we had this secret place almost all to ourselves and that was really something special. A little secret place is the Ta Wet Hpaya Pagoda. We discovered it thanks to a young souvenir salesman who took us there. Although we were not the only visitors during our visit (there were about 30 other people on site with us), the pagoda sees much less traffic from visitors in comparison to the other well-known pagodas. It was amazing from up here, to take in the incredible panoramic view of Bagan from this temple. You’ll find that it’s quite a distance from all the other pagodas. But you come to realise that no two pagodas are the same and that each has its pros and cons. Since the Ta Wet Hpaya Pagoda is a bit hidden away from the main roads, it’s not so easy to find. We have marked the location for you on the map at the end of the article. Hopefully, it should be possible to find. The Shwesandaw is undoubtedly the most famous pagoda to experience sunset in Bagan. The view from the Shwesandaw Pagoda is really special. Therefore, it should’t come as a surprise when you are surrounded by a large crowd at sunset. Even 5 years ago, the one and only time we were here, it was very well bustling with people. Supposedly these days, the sunset there will be even busier, especially during peak season. We also heard that you should be there early in order to secure a higher place with better views. Unfortunately, the pagoda has been occasionally closed off to visitors over the years, as was the case during our visit in December 2017. We suspect that these very large pagodas are constantly undergoing renovation to add additional support to the large response of tourism. Therefore, if you want to experience the sunset here, it’s best if you check out whether or not it’s actually open before you go. Sunrise from there should also be very impressive. The best tip to make the most out of your day is to get up early and climb a pagoda for sunrise. If you’re lucky with the weather, these moments are truly magical and unforgettable. You can read about some of our sunrise pagoda spots in the first section of this article. Afterwards, treat yourself to a delicious breakfast and a bit of rest so that you are well energised for your Temple Day Tour. In this section, we’ll share with you a route that takes you past various temples that can be easily done in a day. Side note: transport in Bagan will be covered in another section of this article below. 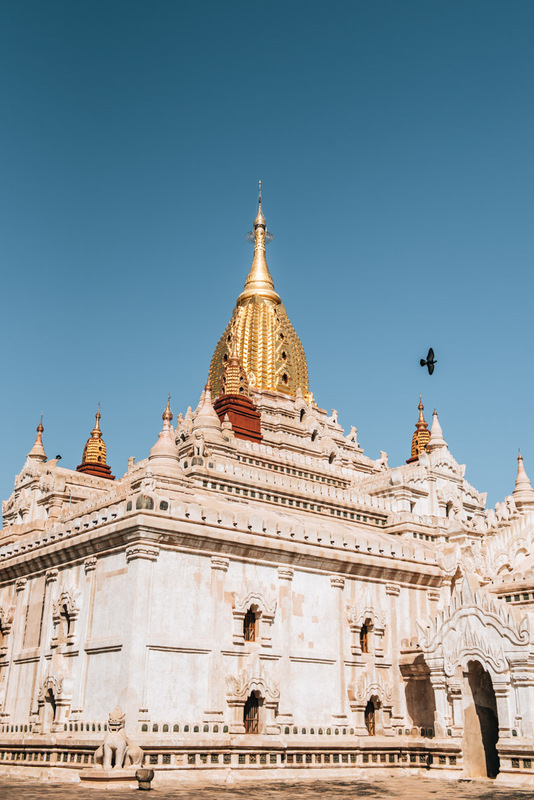 Located near Nyaung U, the Shwezigon Pagoda is considered to be the most significant one in Bagan, so it’s no wonder that you will most likely be surrounded by crowds of people. 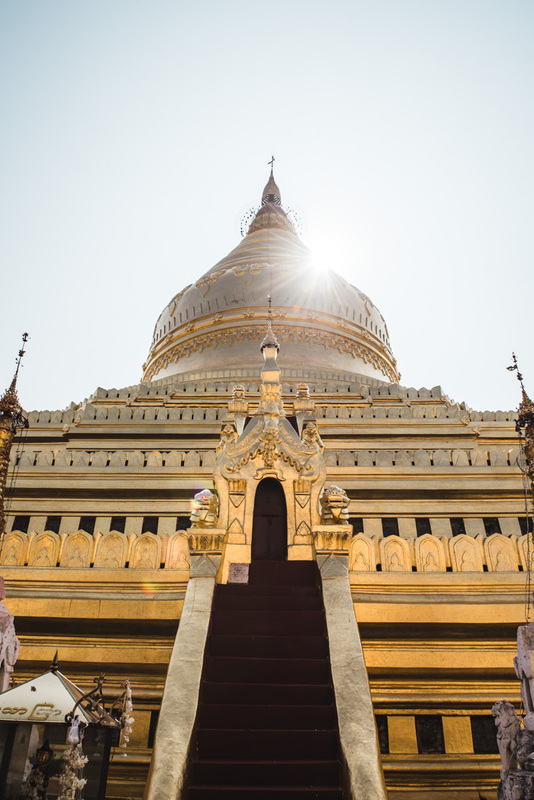 However, the Shwezigon Pagoda is truly impressive, with her gold leaf covered Stupa… it reminds us a lot of the Shwedagon Pagoda in Yangon. However, the Shwezigon Pagoda is just short of 50 meters in height, thus much smaller and less pretentious. From Shwezigon Pagoda, follow the main road towards Old Bagan. It’s not too long of a drive before you reach the Htilominlo Temple. However, this is not one of those temples that we’d go out of our way to get to, as it didn’t really astounded us. But since it was located along the main road, we thought “why not?” And actually found the stopover quite worthwhile. We particularly liked the view from a nearby flat roof pagoda on the Htilominlo temple. A young saleswoman from a nearby souvenir shop actually told us about this and brought us to the viewpoint herself. We were a little skeptical at first but glad we trusted her good intentions. (We wanted to buy one or two souvenirs anyway, so that was all good.) You can find this flat roof pagoda as you leave the Htilominlo temple via the west exit. 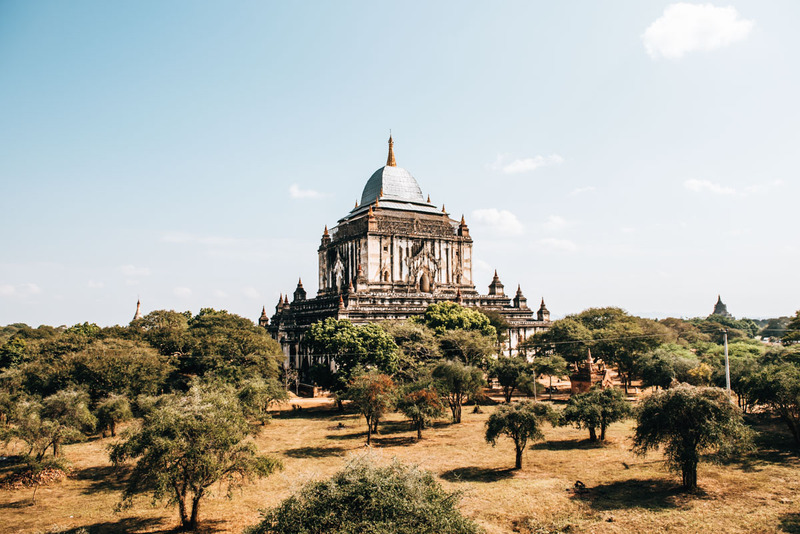 If you follow the main road in the direction of Alt-Bagan, you will reach the Ananda Temple just before the gates of the city. 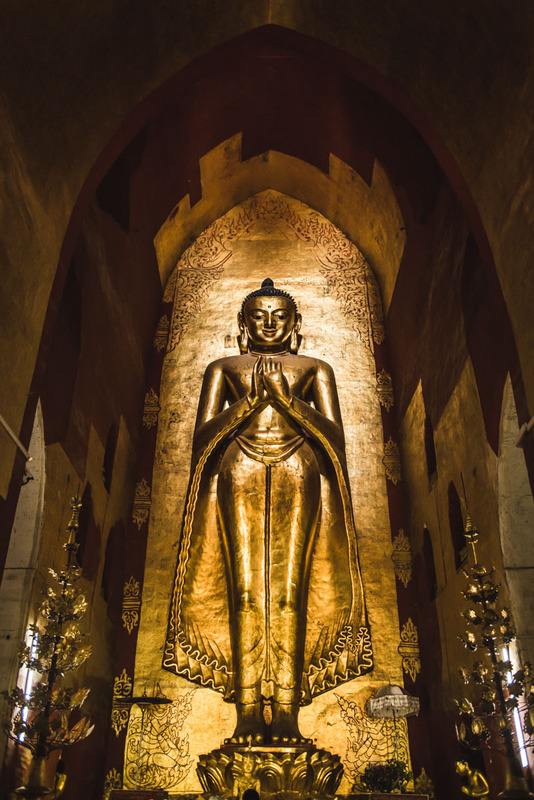 The Ananda Temple (or also called Ananda Phaya) is, for us, one of the absolute must-see temples in Bagan. Even from the outside, the white temple with the golden stupa stands out from amongst its crowd. No other temple in Bagan resembles the Ananda Temple and that makes it especially intriguing and unique. 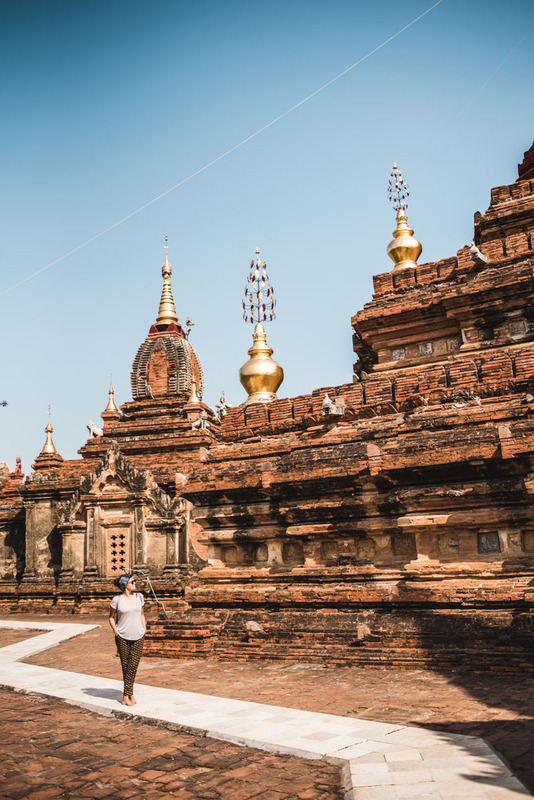 The temple has also been beautifully renovated, with four giant standing Buddhas inside, facing the four cardinal points, like many of the Buddhist temples in Myanmar. 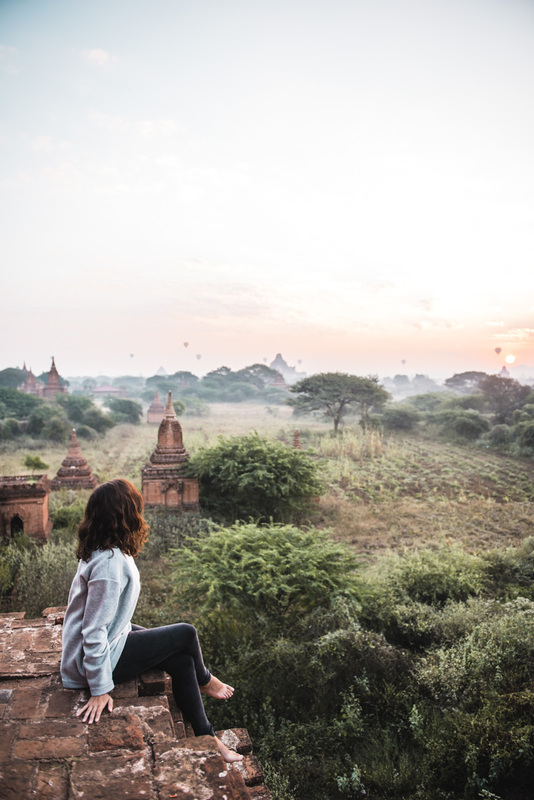 After a perfect day of sightseeing in Bagan, what better way to end it than with a sunset temple? Scroll up again to see our best sunset spot recommendations! If you have some time left, check out the Shwegugyi Temple, which you can climb up all they way to the top. More about this and other interesting temples in Bagan can be found in the next section. Do you have more than one day for temple hopping? Excellent! Because there are so many beautiful pagodas to discover in Bagan. We ourselves spent three days from dawn to dusk, but even after a week, we don’t think we could get tired of these views. Amongst the more unknown pagodas, the Dhammayazika pagoda really took to our liking. Since it’s one of those “off the beaten track”, there was hardly anybody there apart from us, so we got to explore the pagoda in peace. The Thatbyinnyu temple, at 60 meters high, is the tallest, but by no means the most beautiful nor the best-preserved building in Bagan. Nevertheless, still worth a visit as you can get a really nice view of the Thatbyinnyu Temple from a nearby pagoda (about 50 meters west, south of the Shwegugyi Temple). 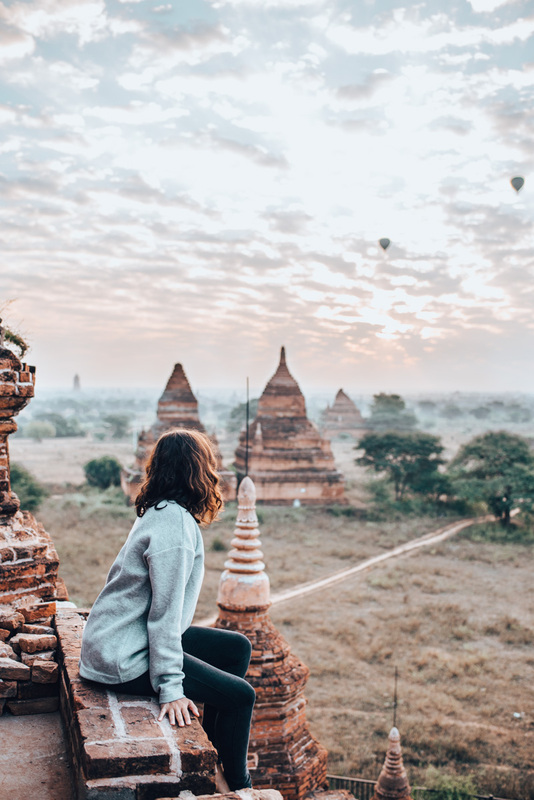 We personally really like the Shwegugyi Temple because you get a really beautiful view from the top, of Bagan and it’s surrounding landscapes, with all its artistically erected temples. It was really stunning to get this panoramic view, in all four directions, from above. 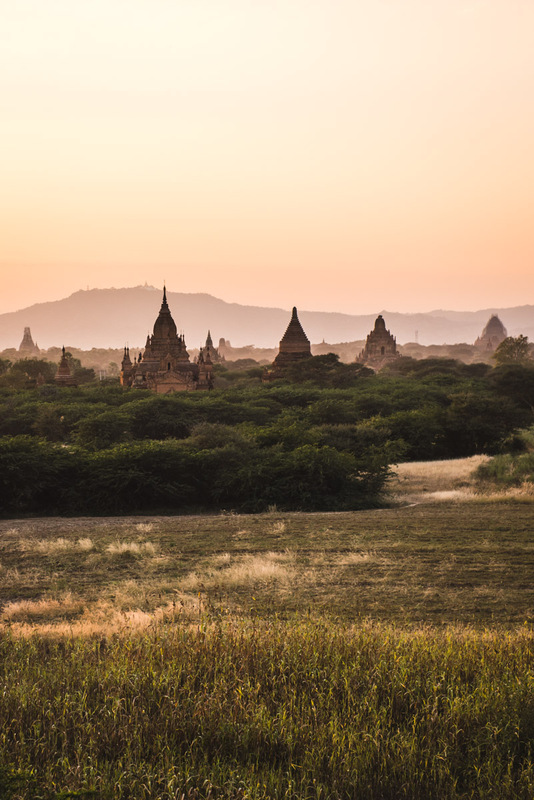 Had we spent a few more days in Bagan, we would’ve come again for sunrise or sunset. 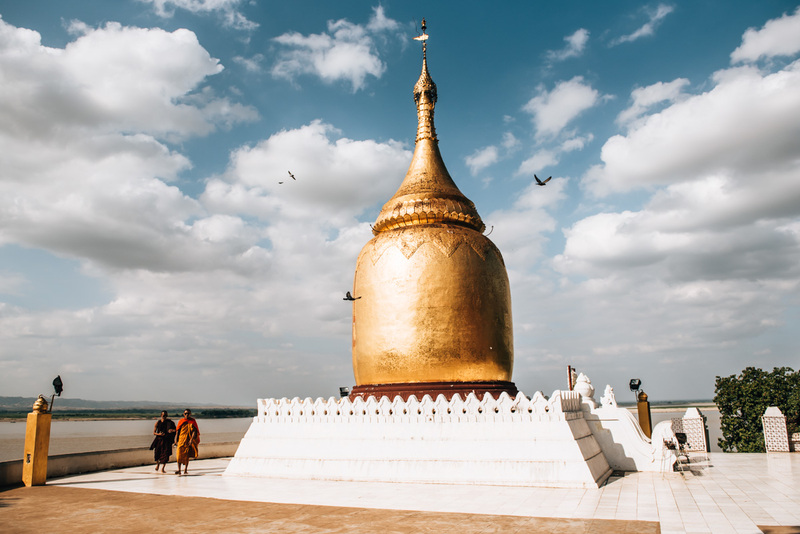 The Burmese word “bupaya” literally translated means “pumpkin pagoda” and when you stand in front of the Bupaya Pagoda, you will understand why. Its shape definitely resembles that of a golden pumpkin. This pagoda is located directly on the banks of the Irrawaddy River. Unfortunately, the original temple was destroyed in the 1975 earthquake, so this is a reconstructed version of the original. 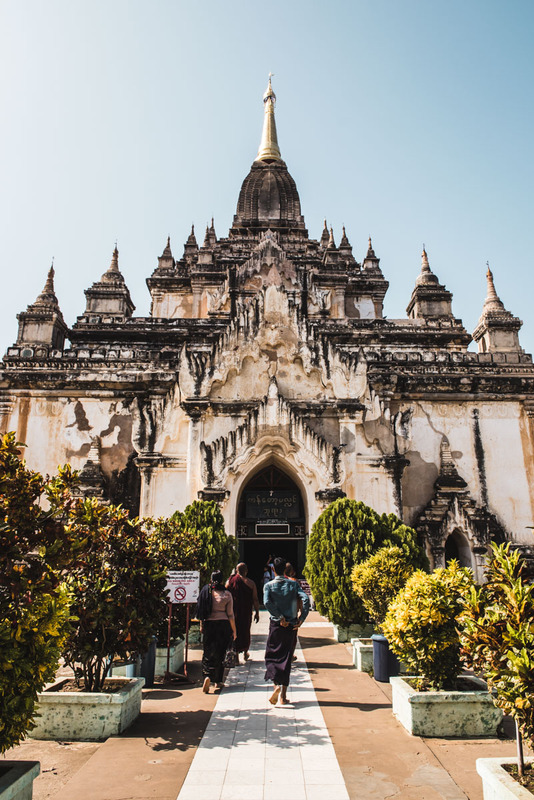 However, the Bupaya Pagoda still earns a worthy visit, especially since it is so different from the rest of the temples in Bagan. The Gawdawpalin Temple is located in Old Bagan, not far from the Bupaya Pagoda, so we passed by it along the way. The temple is very nice and pretty to look at. However, not one of those we would ‘highlight’. 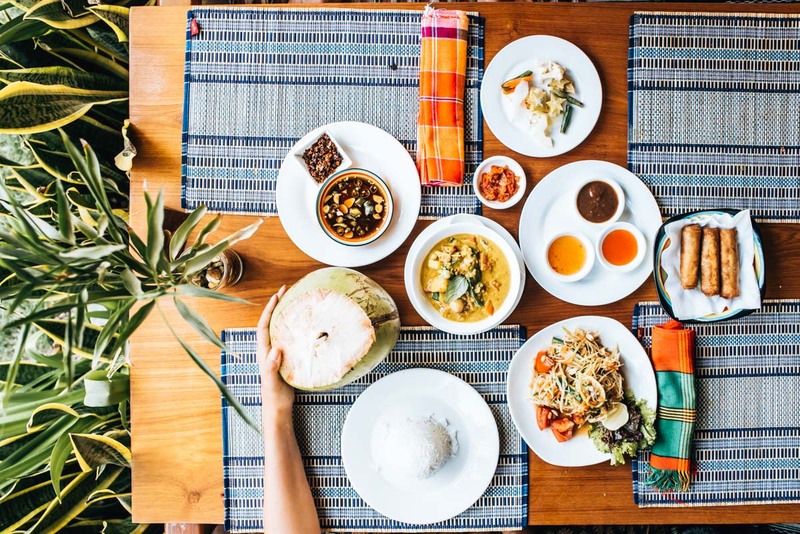 Generally speaking, the restaurant style in Bagan is very much catered toward tourists. We didn’t really mind, as we always found ourselves well fed in Bagan. In case you’re interested, most of the well-known tourist restaurants are located near Nyaung U in the street Thiripyitsaya 4. There, you will find everything, from Italian to Indian to Thai. This vegetarian restaurant was our favourite in Bagan. Despite its tourist-oriented catering, the food was really amazing. 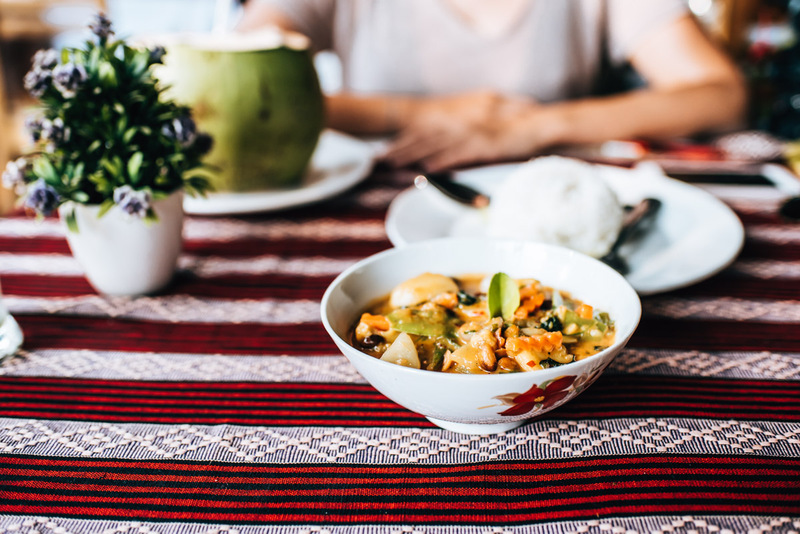 Coincidentally, there are actually two restaurants with exactly the same menu, but we preferred the one in New Bagan, as we found it neat and simply charming. However, both restaurants did a great job with the food. The prices are also very affordable: For the two of us, including drinks, we paid 12,000 kyat, so a little more than 7 euros. The Weather Spoon is one of those acclaimed favourites among backpackers and young travellers, so we were curious and decided to try it out one day as we were passing by. There is honestly nothing to criticise, except for the relatively long waiting time for your food. We really enjoyed the meal and found it very affordable (about 12,000 kyat = 7 euros for us 2). We stayed with Myanmar Han Hotel and we can highly recommend this accommodation in Bagan, with only one catch: either you have to be comfortable riding a scooter, or you don’t mind relying on shuttles to get around. The hotel is about 15 minutes drive from the Nyaung U centre. Apart from this small glitch, the Myanmar Han Hotel is to be highly commended for its rooms. Even the cheapest compartment, which we booked, were very comfortable and had a very nice bathroom. We loved the fact that there is an outdoor pool where you can calmly relax after an exhausting day of sightseeing. The one à la carte breakfast we had there was, for Myanmar standards, really quite good. All the other days, we were served a buffet breakfast, probably due to the small number of hotel guests there. Unfortunately, we found that a bit boring, to be honest. But we just asked for our favourite cereal and the (very friendly) staff immediately brought some out for us. Overall, the staff at Myanmar Han Hotel were just amazing. Very seldom, have we had the pleasure of being accommodated by such friendly hotel employees in Myanmar. Our night bus arrived at 4am and we were prepared to wait until morning to check in. But much to our surprise, we were kindly escorted to our room in the middle of the night! We’ve honestly never experienced anything like that – wow! 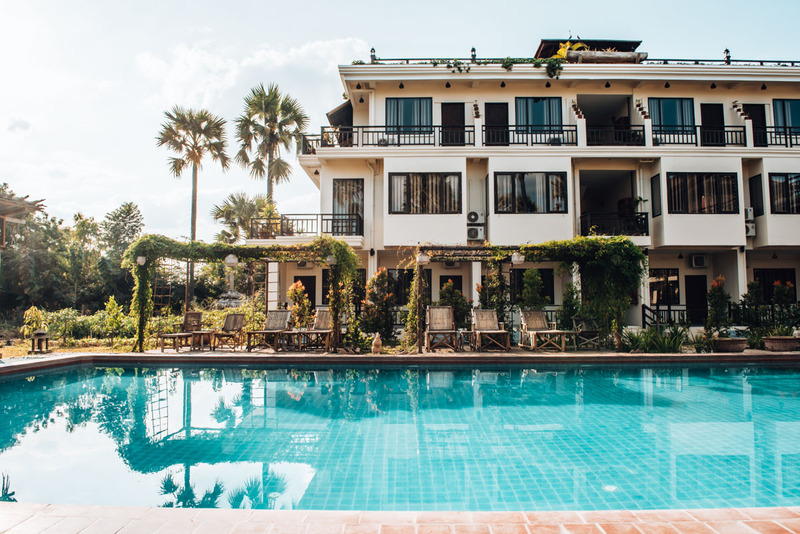 We paid about 37 euros per night for a double room at Myanmar Han Hotel, which was probably one of the best value for money in Myanmar. 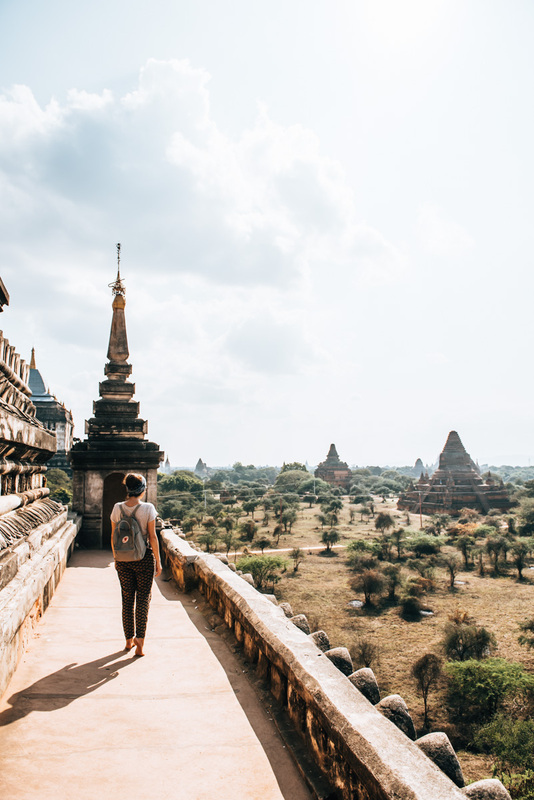 The distances between all the sights in Bagan are not so manageable on foot, so in that regard we consider it too inefficient to walk everywhere and instead, turn to other modes of transport. The best type of transport for us in Bagan is no doubt rental scooters. Currently (as of December 2017) tourists can only rent e-scooters. E-scooters are very similar to conventional scooters, but are less powerful and of course very quiet. The cost of one day’s rent will vary depending on the renter. We were able to hire our scooter directly at the hotel for just 5,000 kyat a day. The advantage: The scooter was recharged each time we came back. Which brings us to the next point: The running time of an e-scooter does not last indefinitely. Depending on how new or how fully charged the scooter is, you can possibly get away with about 6 hours zooming through Bagan. Say goodbye to the idea that you rent the scooter in the morning and then return it after sunset. We often had doubts as to whether or not we would even make it back home and on one occasion, we cut it very very close. Another important note about the road conditions: The main roads are paved and relatively easy to drive despite some pot holes. In general, we found the traffic manageable and easily feasible for semi-experienced drivers. When you move off the main roads, you always end up on gravel or sandy tracks. But it’s not really a big problem. A more physically demanding but also feasible option, is to explore Bagan by bike. However, you must be aware that it can get extremely hot and the sun often burns mercilessly from the sky. In addition, the temples are sometimes relatively far apart. Renting a bike is especially useful in our opinion, if you want to see temples that are clustered relatively close together. However, cyclists are a minority in Bagan, since driving in the heat and covering long distances is simply too exhausting. If you do not want to ride a scooter or a bike yourself, you can easily hire a private driver which includes a car. 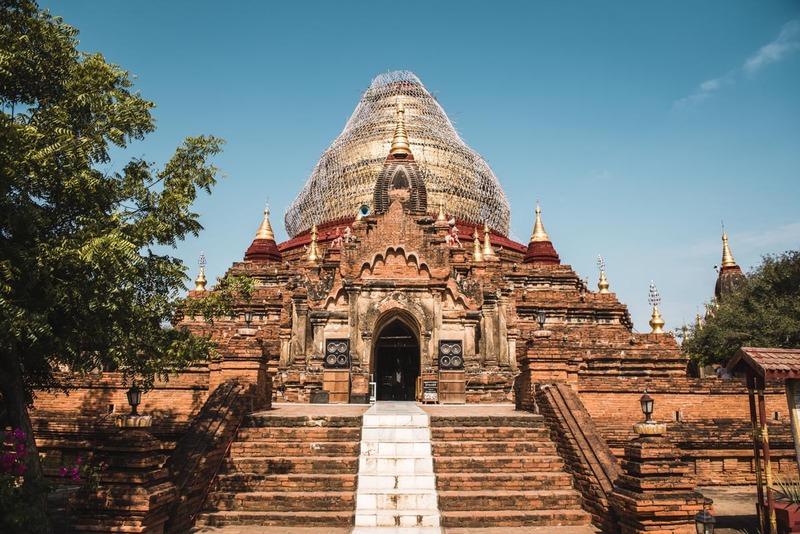 The prices are of course much higher, but it’s quite comfortable and with a little luck, you might also find one who is an experienced guide and can provide you with plenty of background information on each temple. In Bagan, they still provide the services of visiting temples via horse-drawn carriages. In all honesty, this is not something we’d like to support at all and personally would not recommend it. Especially when there are so many other ways of getting around, it seems unnecessary that the animals should be tortured so much in the heat for tourists. 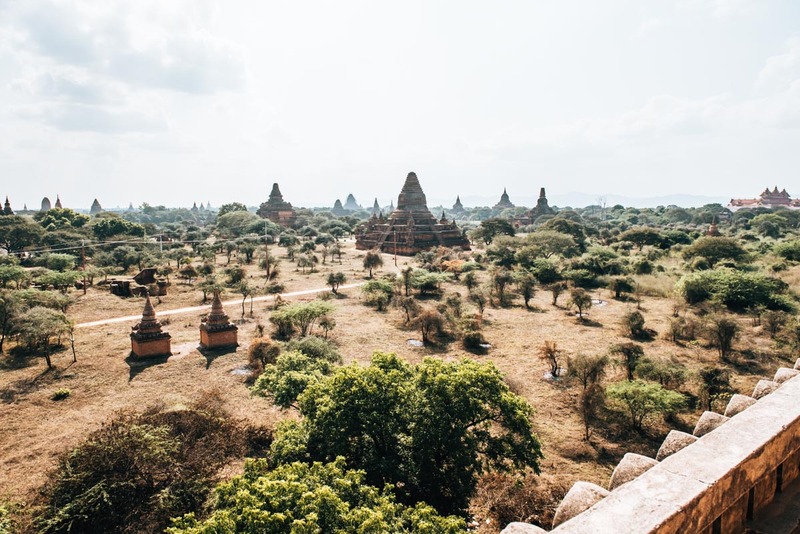 First of all, it is important to mention that as a tourist, you must buy an admission ticket as soon as you enter the area of ​​the temples (“Bagan Archaeological Zone”) for the first time. This currently costs (as of December 2017) 25,000 kyat. The ticket is valid for a total of 5 days and you should always carry it with you, because at some larger temples it is controlled and stamped. 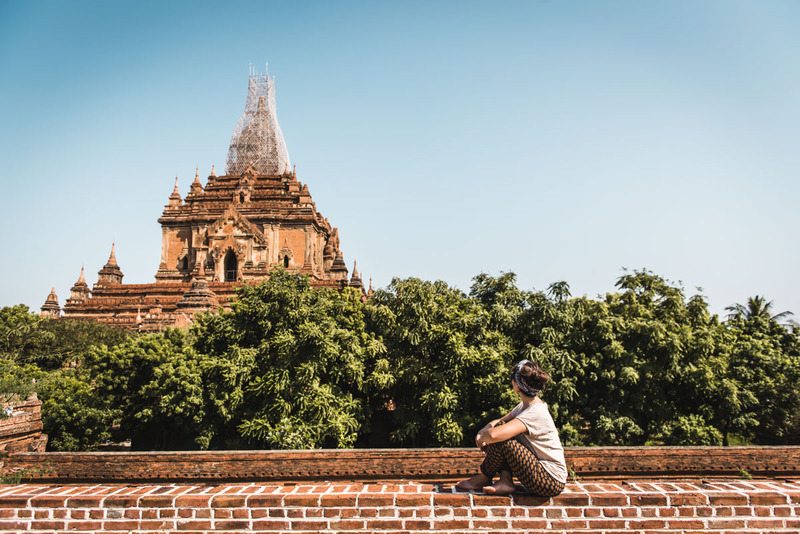 Be sure to wear clothes that cover your knees and shoulders when visiting the Bagan Temples. Ideal wear would be long pants and a T-shirt. Although sarongs are available at some temples, however it is not mandatory. Also remember that you have to take off your shoes at every temple. Open wear shoes are probably the most practical so you can them slip on and off quickly. And yes, no doubt your feet will get super dirty after a temple day. But you get used to it, don’t worry. The entry of many (not all) pagodas has been officially banned in Bagan since March 2016. This ban mainly affects the small, unknown pagodas. Incidentally, the ban policy has nothing to do with the earthquake, but was allegedly introduced as the inappropriate behaviour of tourists increased. And the paradox: As sad as that is, in reality the ban is ignored by almost everyone. For example, even a local brought us to a pagoda, which we should not have entered under ‘law’. Unfortunately, we only saw the sign as we left the pagoda. Of course, you have to weigh up the pros and cons for yourself, whether or not you’re willing to risk getting caught. You should definitely respect the ‘no entry’ policy if it concerns one of the Great Temples being closed off (like Shwesandaw). You should be extremely careful with each Pagoda you climb. Often it slants down steeply and sharply, requiring you to really watch where you step. As sad as it is, but just before our visit, a young American woman was killed in Bagan because she fell from a pagoda. This blog article contains affiliate links. If you book something via the link, we will get a small commission. Don’t worry though, this does not change the price for you at all. 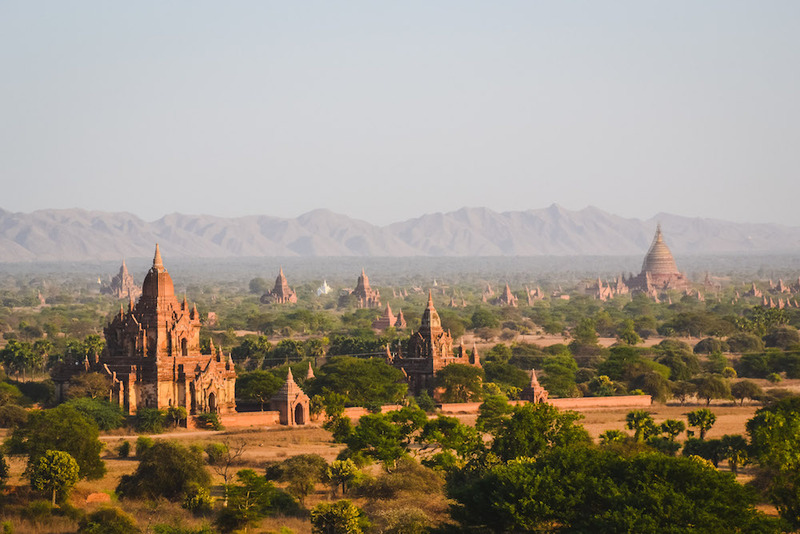 Have you been to Bagan? What were your experiences? We look forward to your comments and further tips! 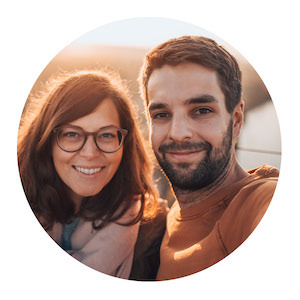 Hi, we are Kathi and Romeo. Free spirited Wanderers and Freelancers from Vienna. On our travel blog, we share with you our passion for travelling and photography.